ARRANGE YOUR CLOTHES ON HANGING SHELVES AND DROP THEM INTO Y - ProudMummy.com the Web's Community for Mums. 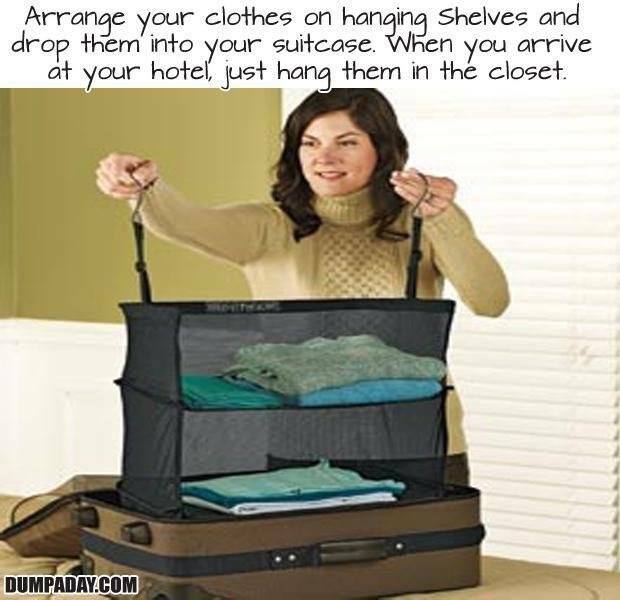 ARRANGE YOUR CLOTHES ON HANGING SHELVES AND DROP THEM INTO YOUR SUITCASE. WHEN YOU ARRIVE AT YOUR HOTEL JUST HANG THEM IN THE CLOSET.